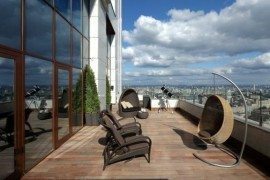 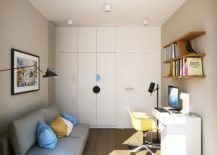 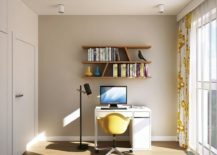 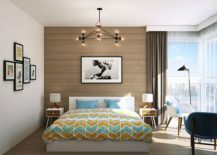 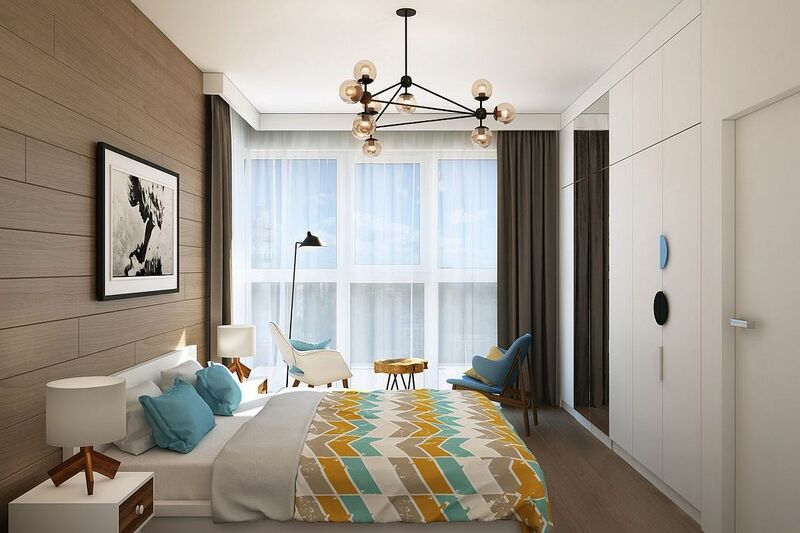 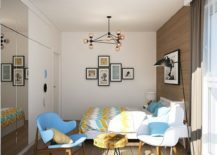 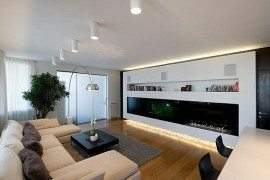 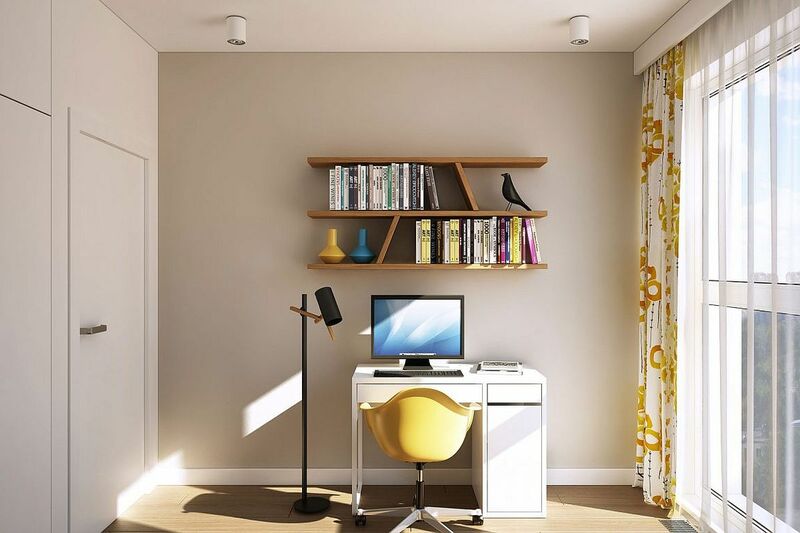 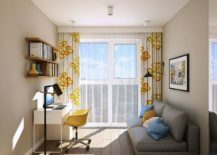 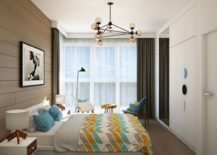 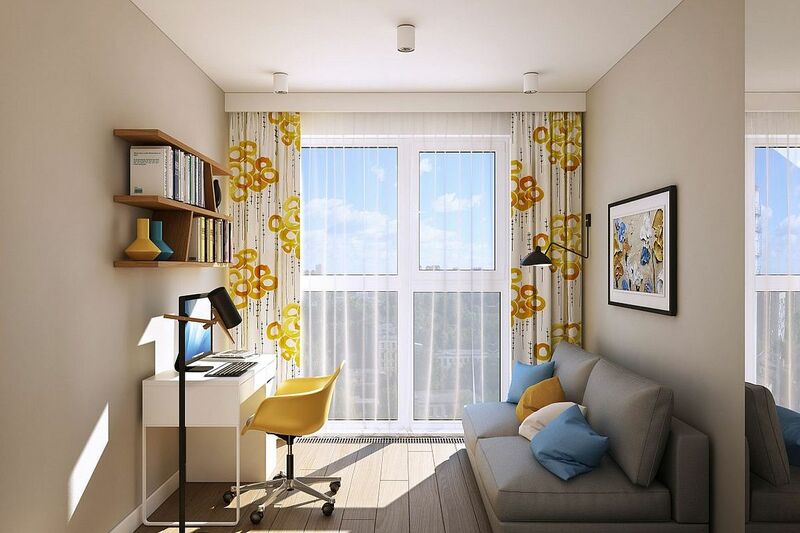 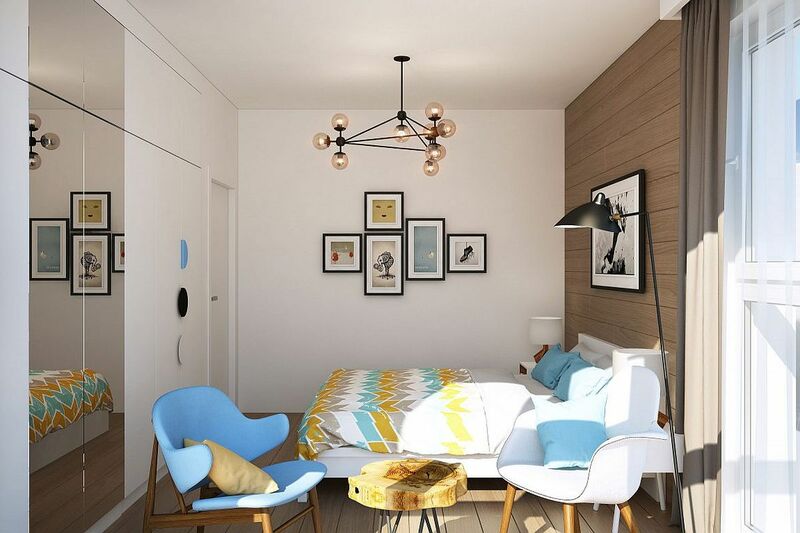 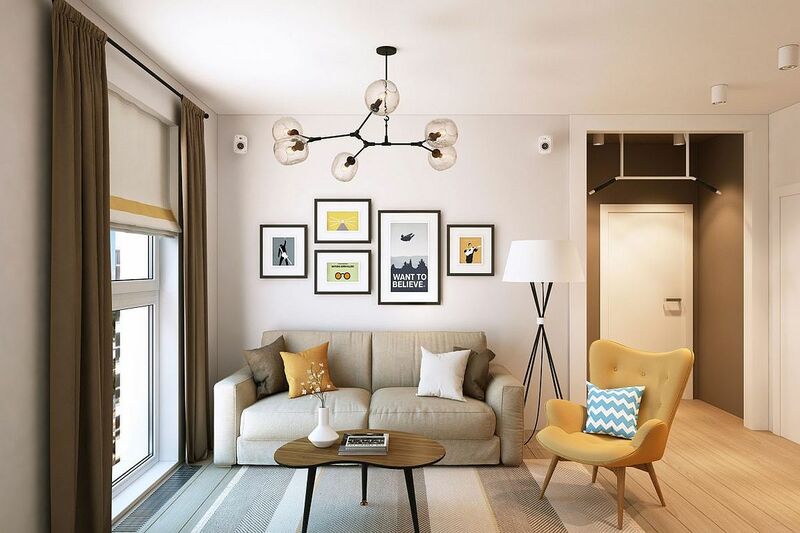 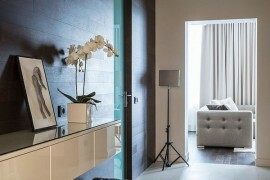 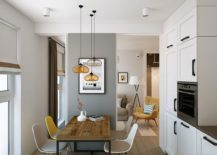 An urban apartment is a place where one needs to find balance between space-conscious design, aesthetics and practicality, even while working with both style and budget constraints. 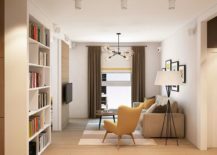 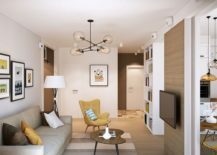 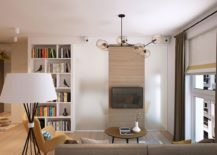 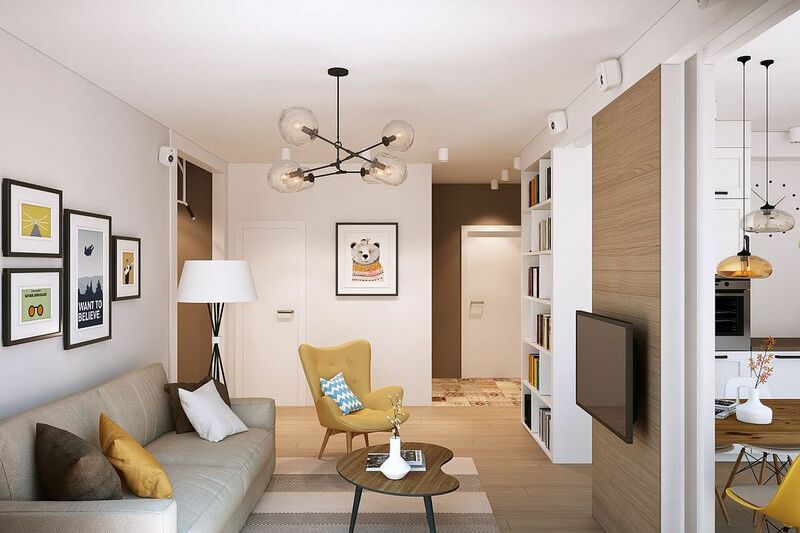 The homeowners of this small family apartment in Moscow longed for an interior that was fresh, energetic, smart and refined, all the while maximizing the available square footage. 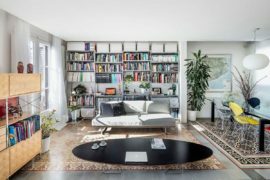 It is Geometrium who managed to accomplish this, as the 66-square-meter interior was completely revamped and redefined to create eight distinct new zones. 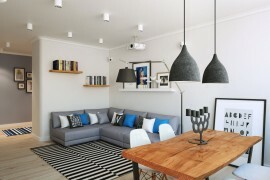 Yet each of these zones flows into the next in a seamless and organic fashion. 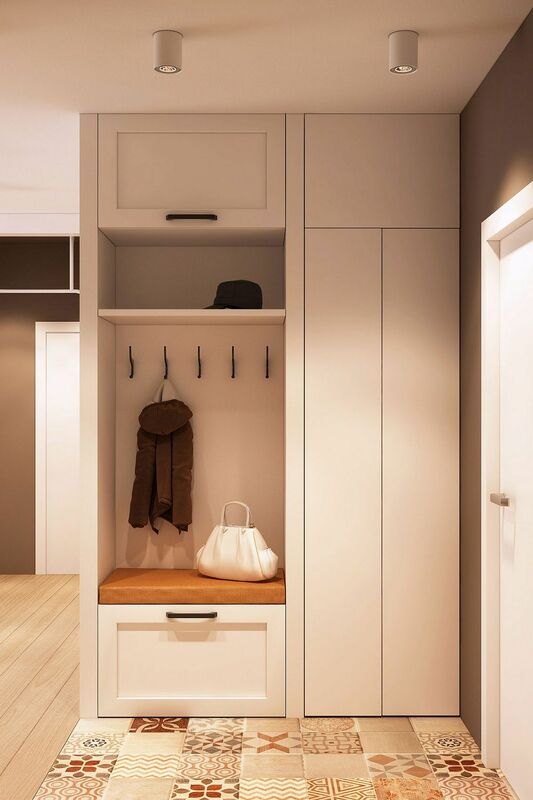 The new entrance hall contains a small mudroom of sorts, with a cupboard that allows you to tuck away everything from coats and hats to boots and bicycles. 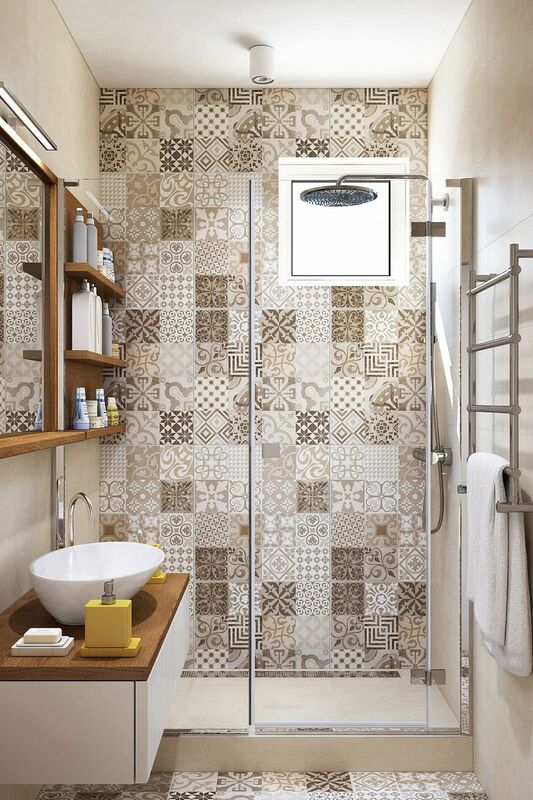 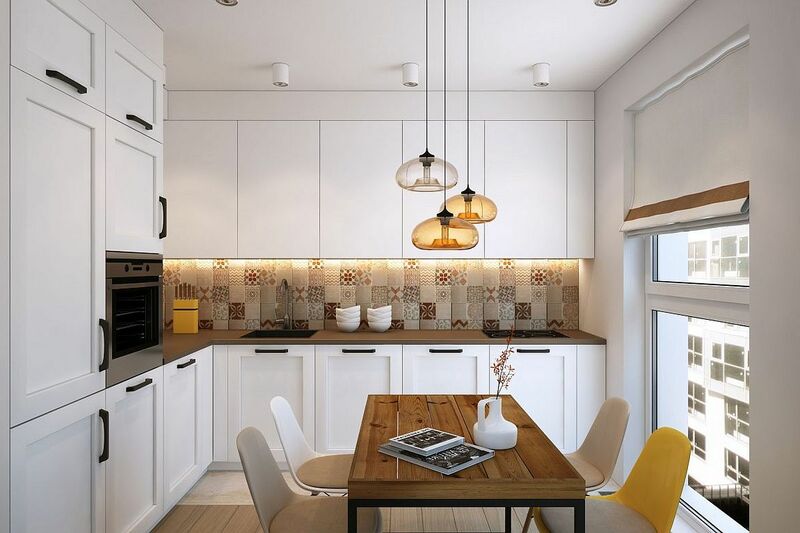 Tiled flooring brings geometric contrast to the space, and this is a theme that is carefully replicated in the kitchen and bathroom as well. 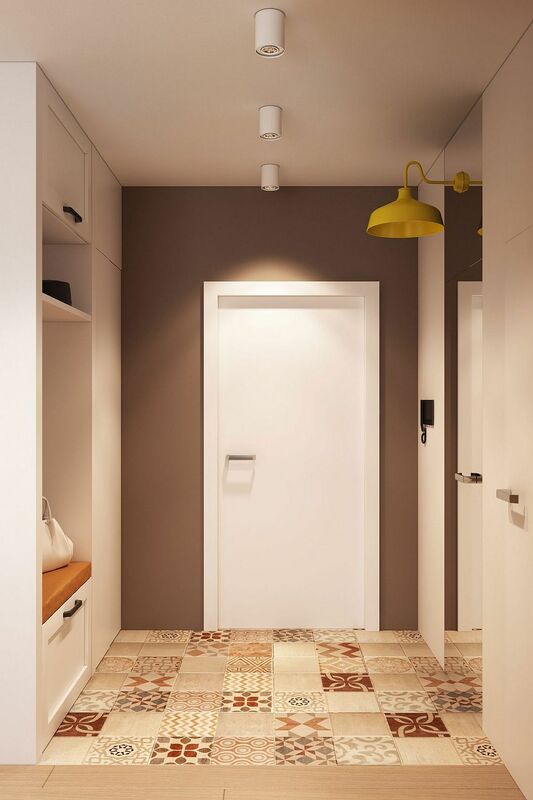 Next to the entrance cupboard is another hidden closet that holds the washing machine and the dryer. 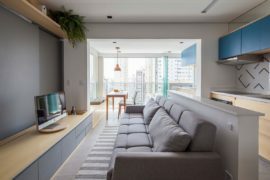 Step in further, and you see the small living area with a unique stand for the TV that delineates it from the kitchen and dining zone. 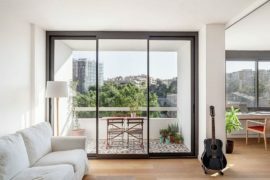 Translucent sliding doors hide away the kitchen when it is not required while still allowing filtered light to pass through. 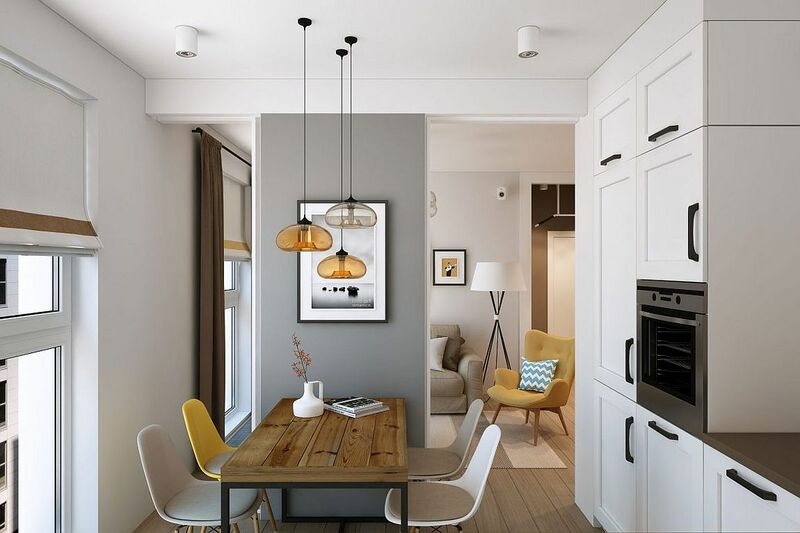 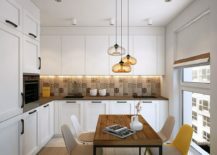 Gorgeous pendants also illuminate this small kitchen and dining space in gray and white that does all it can to get the most out of the limited square footage. 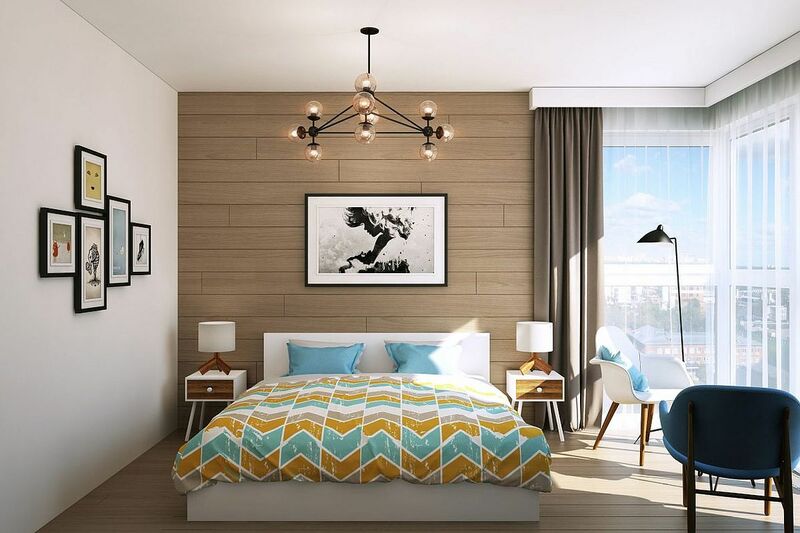 With a smart Scandinavian style, the bedroom seems both inviting and elegant, even as mirrored cabinet walls enhance it visually. 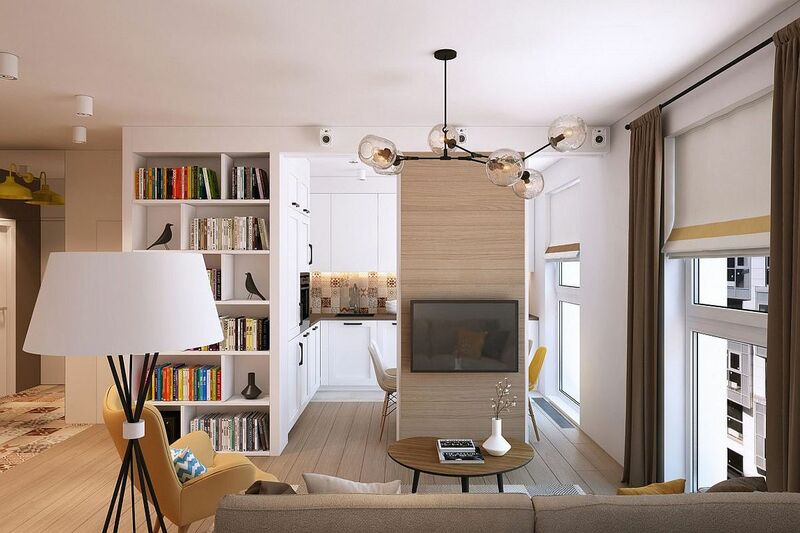 Elegant, organized and adaptable, this Moscow apartment blends efficiency and aesthetics ever so beautifully!